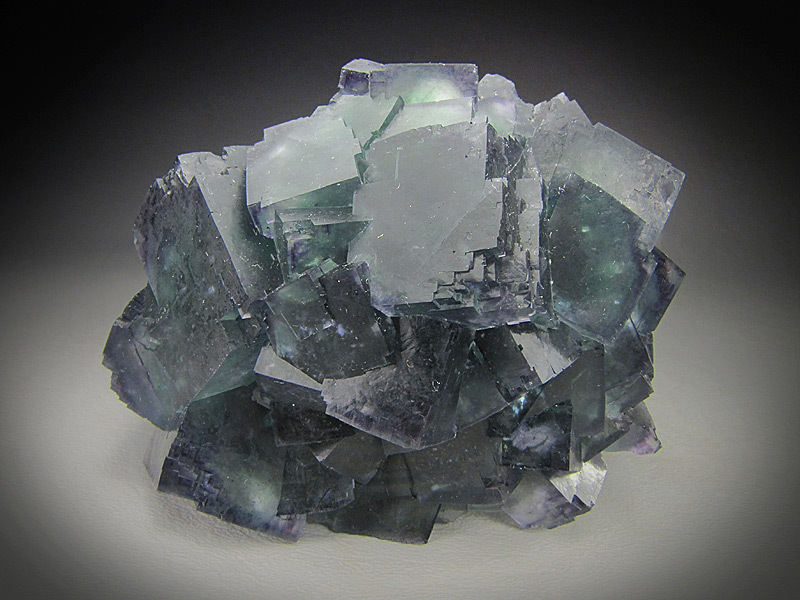 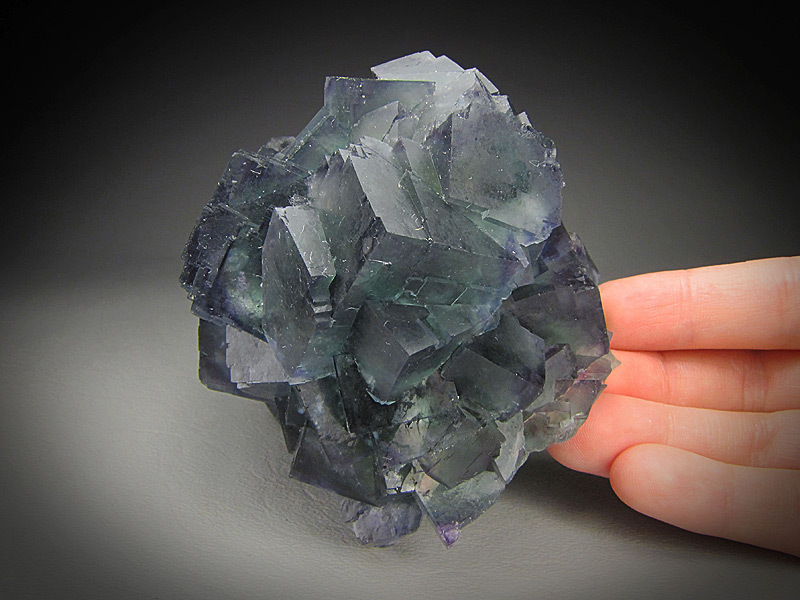 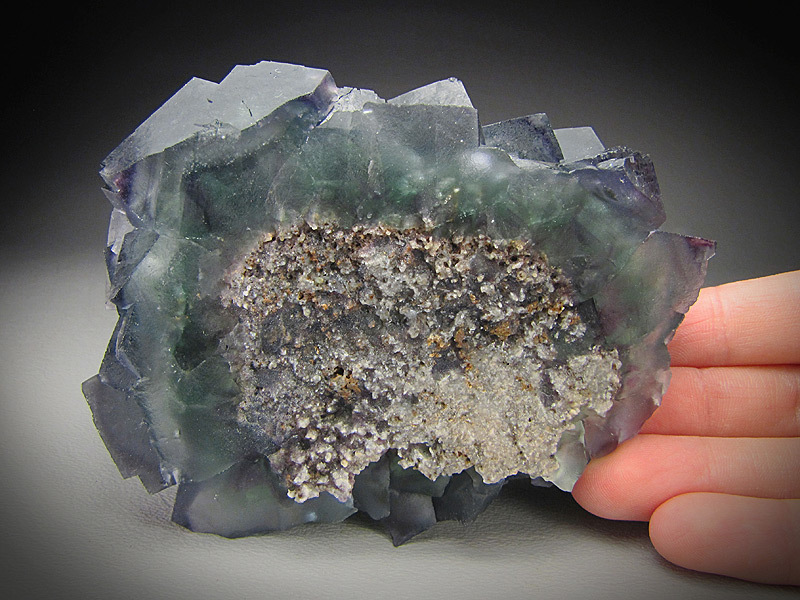 These fluorite cubes are pale green with partial outer zonation to purple. 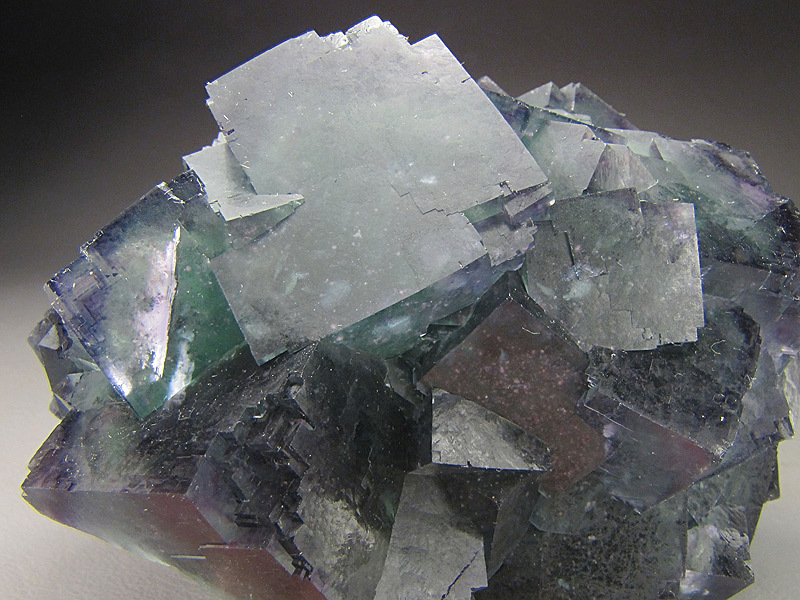 The specimen is from the Okorusu Mine, Otjiwarongo District, Otjozondjupa Region, Namibia. 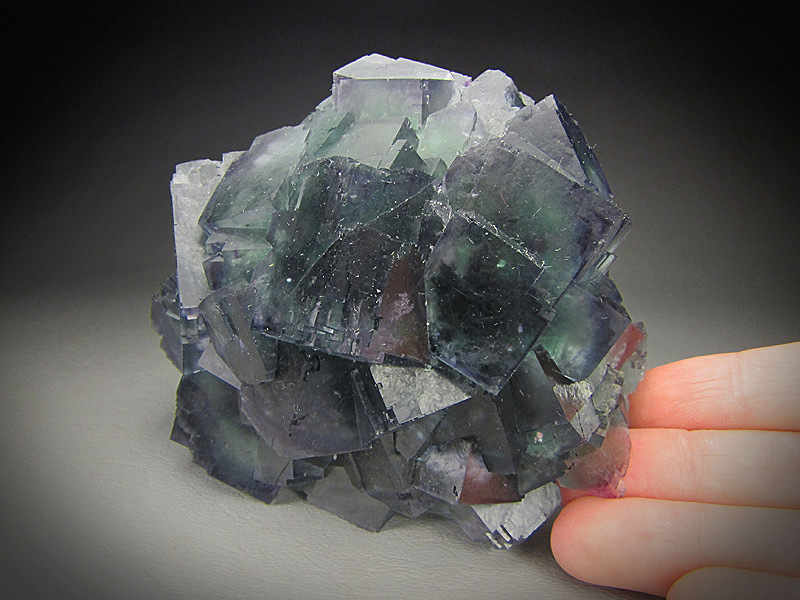 This piece measures 9.3 cm wide by 6.5 cm tall by 6.4 cm front to back. 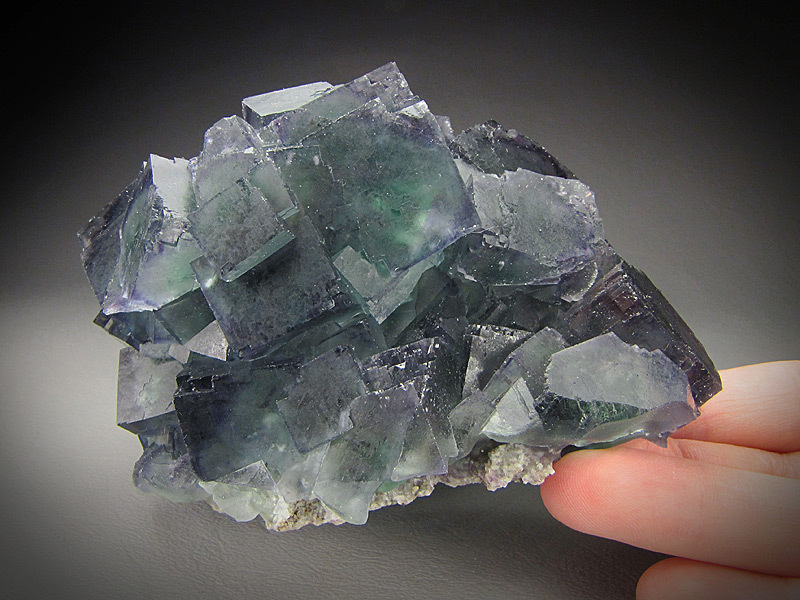 The back of the piece has been thinned to better show the piece. 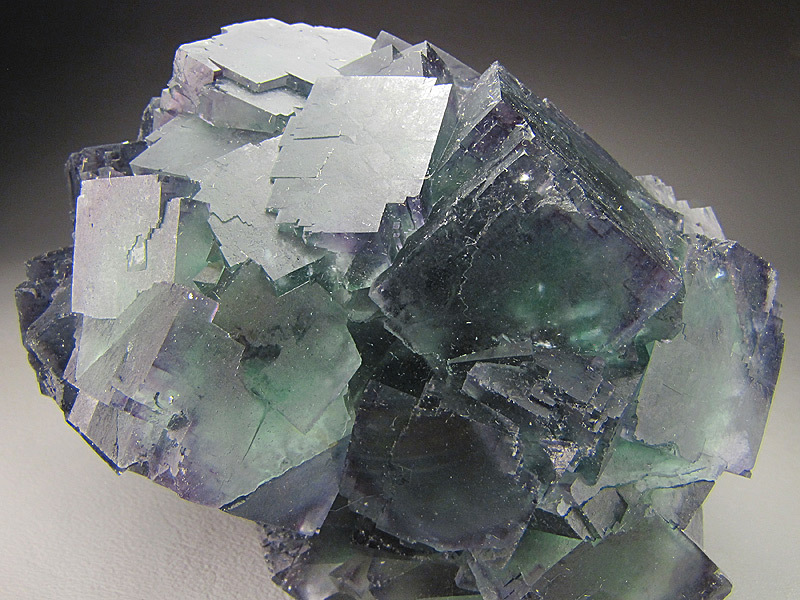 There are a few chipped crystals, mainly at the edges of the piece.